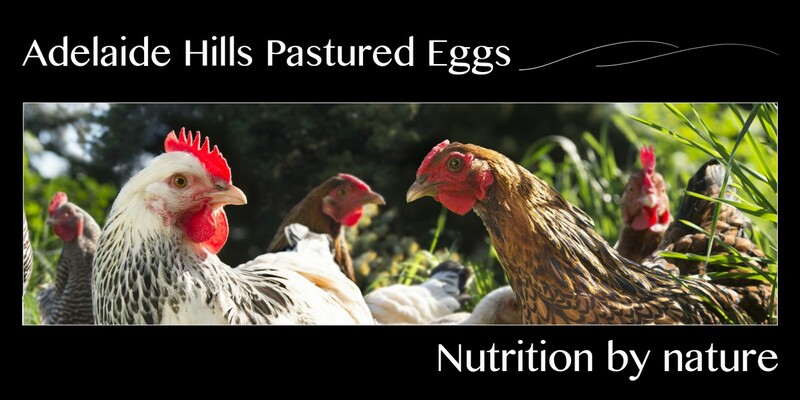 Hahndorf Fruit & Veg now selling Adelaide Hills Pastured Eggs! We have been getting loads of requests as to where you can buy our eggs from because some customers cant get to the Farmers Market on a Saturday. We approached Angelo at the Hahndorf Fruit & veg and he was excited to start stocking Adelaide Hills Pastured Eggs. His reasoning was that he did not have any other type of “pastured eggs” on sale and realised that we produced something exquisite and unique. (And did we mention LOCAL and SA owned and operated?). He was suitably impressed that we as producers took the time to test our pastures for the nutrient content and that our eggs were produced in a sustainable and bio diverse manner. So if you want the most exquisite tasting eggs, they are now available from Hanhdorf Fruit & Veg, 182 Mount Baker Rd Hahndorf, just off the Freeway. Call in and thank Angelo and his team for supporting local producers and of course the most exquisite tasting eggs around.